We heard your requests loud and clear! I asked our buyers to look into attractive jewelry storage options and they delivered. I think you’ll like what they found. Enjoy! Looking for a clever storage idea for all the jewelry you’ll no doubt receive for Valentine’s Day? 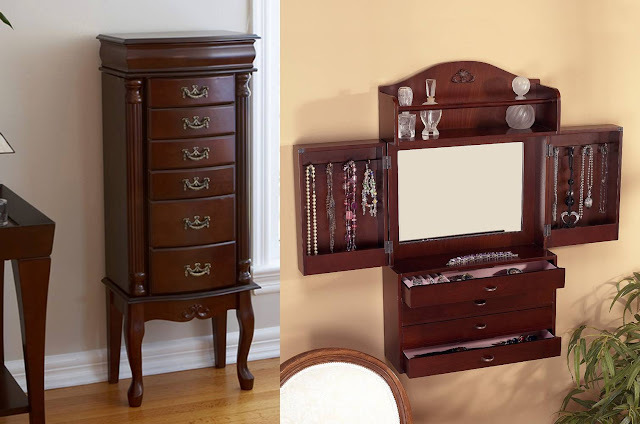 How about a jewelry armoire? Say goodbye to tangled necklaces, buried bracelets and that single earring whose mate you cannot find. And not only is it an easy organizational tool, but it will look great on your dresser, too.